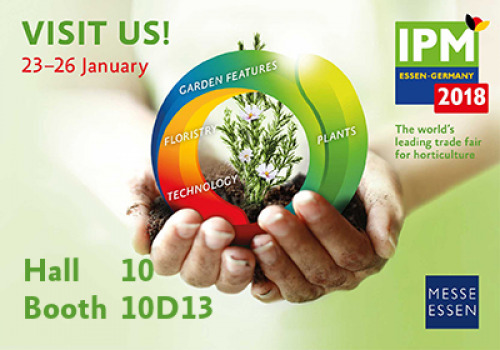 Plater Bio will be exhibiting at IPM Essen in Germany from 23rd January to 26th January 2018. The entire world meets at IPM Essen and Plater Bio are excited to present our innovative biostimulant and micronutrient developments. Visit us in Hall 10, Booth 10D13 to learn more about our revolutionary 'one part' hydroponic fertilizer and our range of natural extracts including cold-press seaweed and fungal chitosan.